The use of storage facilities to provide a temporary solution when moving from one address to the next is becoming increasingly common in the UK. Many movers find they can gain a short-term advantage by renting storage space for a spell. What do you need to know? How Expensive Are Storage Units? 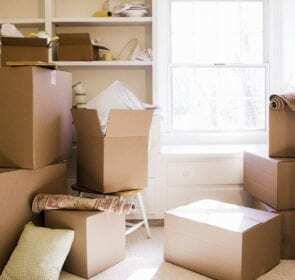 Although you might think that the lowest cost option when you move is to shift all of your belongings to your new address on moving day, this can be a false economy. Of course, if you are moving from a two bedroom flat, for example, into something much more palatial, such as a six bedroom villa, then you are likely to have enough room for all of your possessions from day one of the relocation. On the other hand, when you are downsizing, finding room for everything can be a major hassle just when you need to set up your new home. 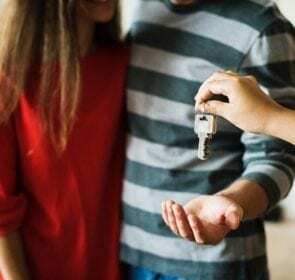 Even when you are moving up the property ladder or switching from renting an apartment to a house, there may not be enough room in the first few weeks to find a suitable location for all of your belongings. All too often, garages and spare bedrooms become nothing more than dumping grounds for moving crates and storage boxes which means they get in the way whenever you try to do something in the given space. To give you more room to work in, not to mention provide you with the much-needed head space that you require when sorting out everything you own in a new property, placing items into temporary storage makes a great deal of sense. What you spend on a storage facility can even make financial sense if it allows you to get on with jobs in your new home without constantly having to shift things around, for example to make way for new flooring to be laid. What you may not know is that many storage units are more cost-effective to rent than you might expect. Okay, longer term rental agreements offer greater value for money than shorter ones. However, even if you need to rent a self storage facility for nothing more than a few weeks, you may find that it is cheaper to do so than you had imagined. The following table gives you an indication of the fees a typical self storage facility will charge based on the footprint of the unit you choose to rent. By completing the online form with a few of your details, it is possible to obtain a plethora of quotations from self storage businesses in your area. You may find that you are provided with special pricing or one-off offers which means you can make extensive savings as well as saving time ringing around different operators. Why not fill it in now and see how much you could save? Why Use a Self Storage Facility? As previously mentioned, on of the main reasons that people use a self storage facility when they move is so that they don’t have to deal with all of their belongings in their new home just at the time they need to reorganise everything they own for a new place. Storing seldom used items or things that you only use on a seasonal basis can really help you in the first few weeks following a move. However, this is not the only reason to make use of self storage facilities when you move. Why else might you want one? When people move, there are a huge number of reasons for doing so. Perhaps you are moving out of your old home due to the death of a loved one or because of a relationship breakdown? If so, then you might want to put certain items into a storage facility rather than take them with you to your new home. Rather than throwing away certain possessions that you don’t want to deal with immediately, self storage units allow you to keep hold of them, continue to access them and sort them out but to do so without the hassle of having them with you at your new address. Essentially, a self storage unit provides you with a bit of breathing space in such situations. Another common reason for using self storage is when two separate households become one. Two partners with existing families moving in with one another will probably already have two sets of living room furniture, dining room sets and a surplus of beds. In situations like these, putting some of the extra furniture into storage makes sense while you work out what to do with it. Storing it – rather than selling it – means you have something to fall back on and this gives many people a sense of reassurance when embarking on a new life in a new relationship. What Are the Storage Facilities Services Typically Offered By a Removal Company? Self storage companies can be found in nearly every city and major town in the country these days. Many are positioned in trading estates with convenient access points but some are in more rural locations which, generally, provide longer term lets. Prices will vary according to the convenience of the location but removal companies often provide the lowest prices of all. Since removals firms have need of short-term storage facilities on a frequent basis they often either have their own or have access to a facility nearby at a special rate. It is certainly worth asking your removal company whether they can provide cheaper self storage than you’d find elsewhere. As well as providing you with a storage solution, many professional moving companies will also take on the job of stowing away your furniture and other belongings for you. This means that the heavy lifting is conducted for you and that your possessions are stored in a professional manner, being properly covered and protected from moisture, pests and so on. In such cases, you can then call on your removal firm to move your belongings on to your new home for you when you are ready for them. All that is needed is to obtain a quotation in advance to find out how much you will need to pay for having this sort of service carried out for you. Wrap up your possessions properly so that they are protected from knocks when you move them in and out of the storage facility. Make sure you know if there are fees applied for ending your rental agreement early. Use storage crates which mean you can stack up your belongings to make the most of the height in your storage unit whilst still being able to walk into it. Get multiple quotations before using a self storage company so you know the price you will pay is competitive. To obtain up to half a dozen different quotes from moving businesses that can help you with storage, all you have to do is to fill in our simple form. By doing so, you will receive some of the best prices around!